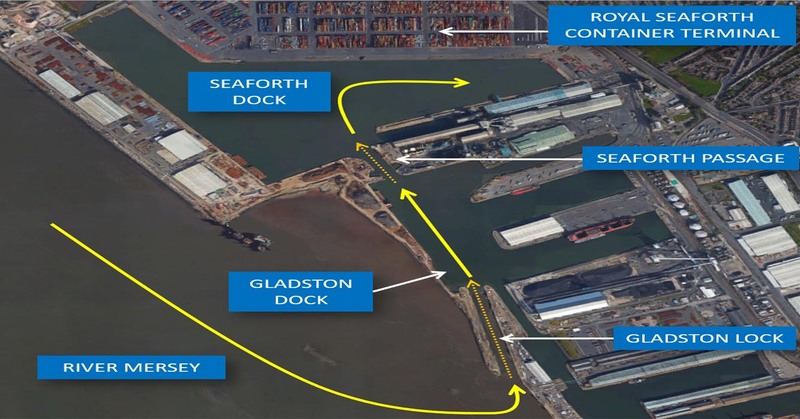 Peel Ports required the widening of the Seaforth Passage to increase efficiency for the transit of vessels within the Royal Seaforth Dock at the Port of Liverpool. 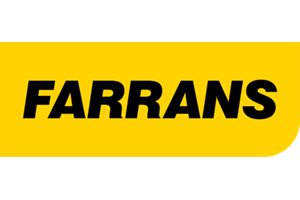 FARRANS Construction Ltd was appointed the £11m contract to carry out the work to widen the passage from 40m to 60m. 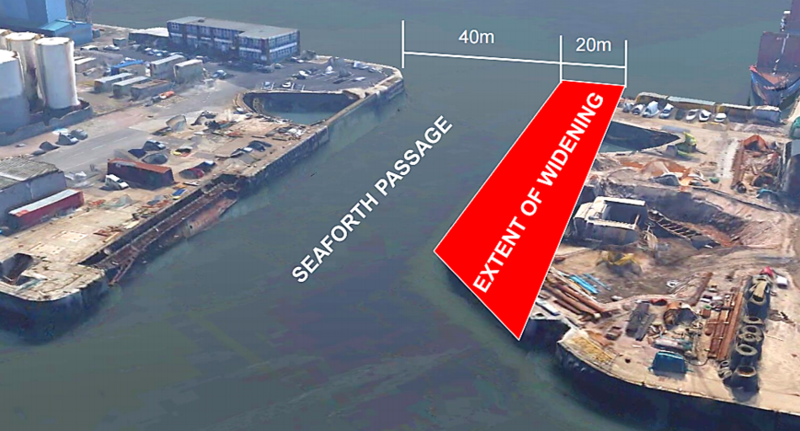 As part of the widening works, a 3.00m diameter siphon, connecting the Liverpool storm drainage system with an existing outfall, was to be extended underneath the passage. 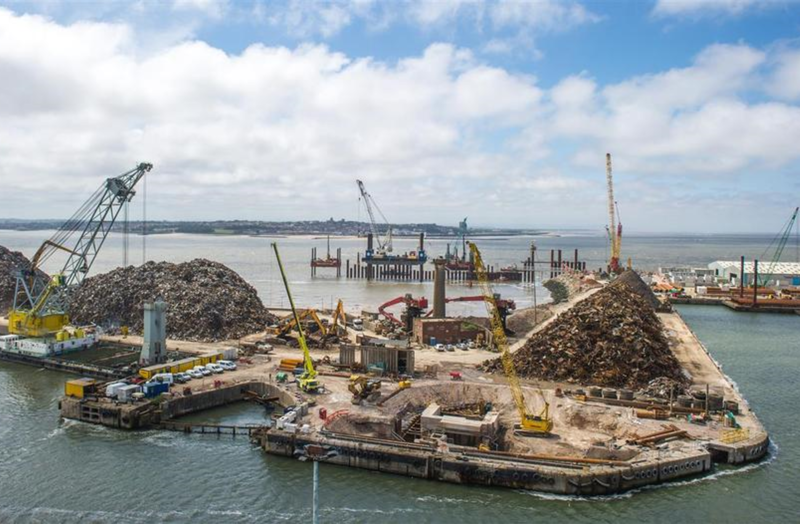 Designed by Royal Haskoning, the structural solution selected to extend the siphon compromised the construction of a combi-wall cofferdam attached to the existing diaphragm wall. 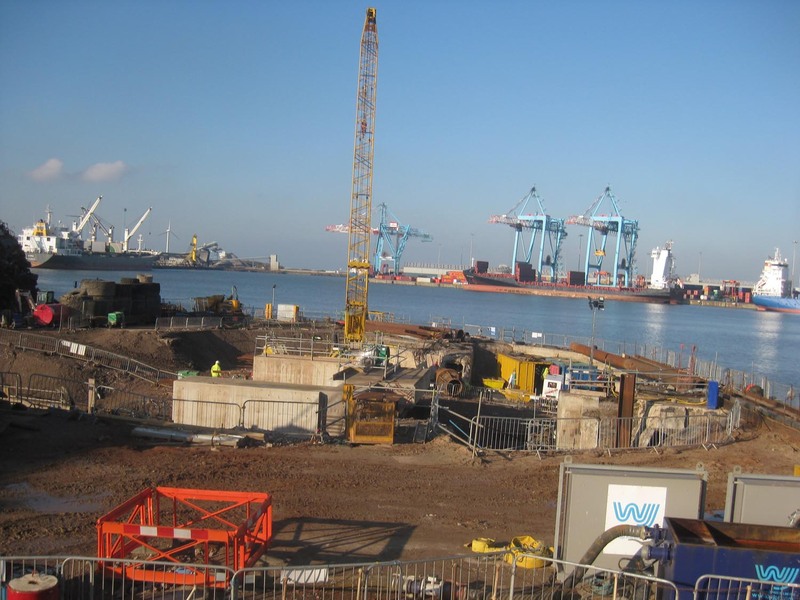 To provide an alternative to the traditional approach of a large number of active dewatering wells. 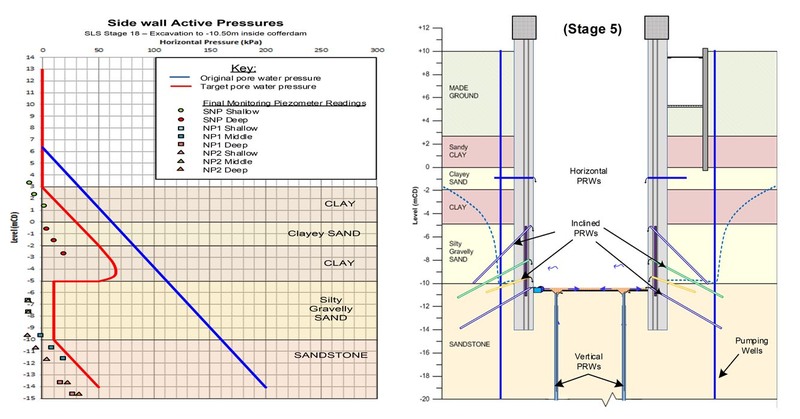 To mitigate against the risk of structural collapse caused by a sudden rise in groundwater pressure as a consequence of power or pump failure. Three vertical active/passive pressure relieve wells inside the combi-wall. 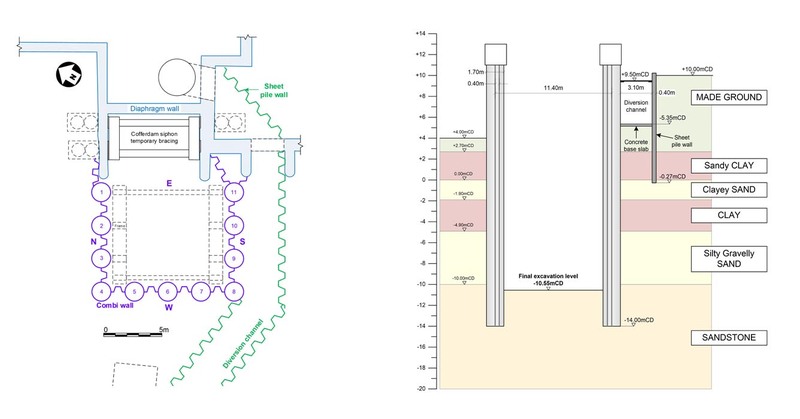 Approximately fifty inclined passive pressure relief wells installed through the combi-wall into the surrounding sand layers. 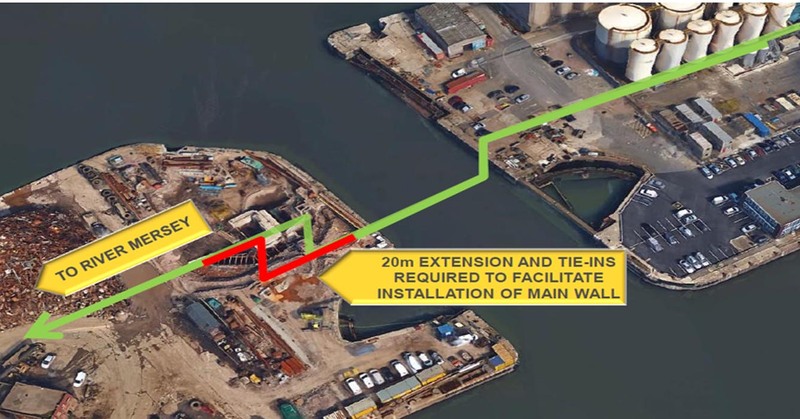 The successful temporary groundwater control system designed for the Seaforth Passage Widening project was only made possible by the team approach which included full collaboration between the Groundwater Control Designers (OGI Groundwater Specialists), the Main Works Contractor (Farrans Construction) and the Structural and Geotechnical Designer (Royal Haskoning).